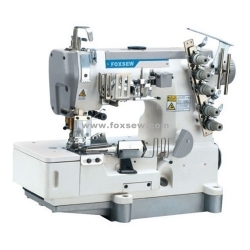 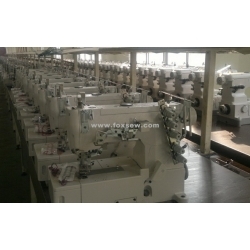 1)This machine is with tape-binding device, suitable for T-shirt, under ware etc. 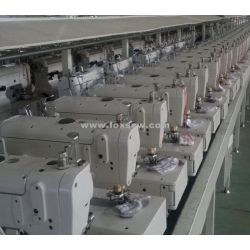 remark: can be equipped with the direct drive equipment. please equipped the rear puller, when sewing the blanket and super heavy materials.